Are 80% of women wearing the wrong bra size? Sort of. By now, you have probably heard the stat “80% of women are wearing the wrong bra size.” Although this statement is based in truth (we’ll delve into that below), it’s a case of misplaced blame — putting the onus on the consumer rather than on the sizing system itself, which leads consumers to perpetually purchase poorly fitting bras. Bra manufacturers profit from the mass adoption of our outdated, broken sizing system, and I’m here to insist that they can, and should, do better. Because we deserve more. 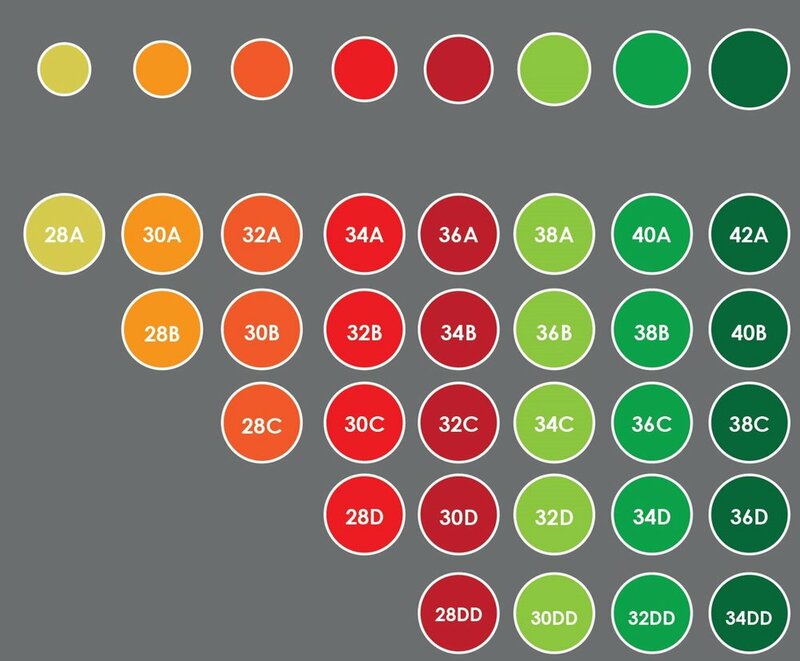 First, let’s dig down to the root of bra sizing confusion. Before there were bras, there were corsets. And corsets were sized by waist size (18, 20, 22, etc.). The first brassieres, in the early 1900s Edwardian era, were actually corset-covers that looked like sleeveless shirts. They weren’t long enough to go past the waist. For that reason, they were sized by shirt size. 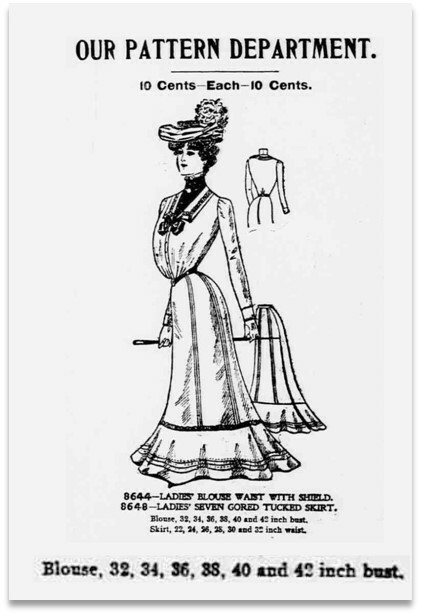 During the Edwardian era, women’s shirts used a sizing system that pre-dated the Victorian era. But for the sake of simplicity, we’ll say it was Victorian shirt sizing, which was sized 32, 34, 36, etc. In 1917, the government asked women to stop buying corsets because the metal was needed for the war effort. 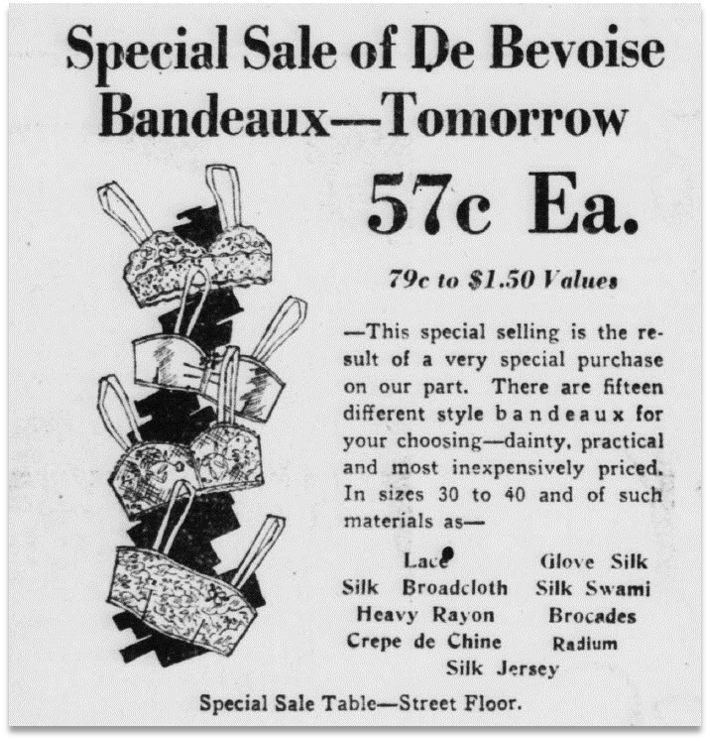 By the time the 1920s came around, more women were wearing a garment called a “bandeaux” that looks like the bras we wear today. Even though it no longer looked like a shirt, it retained the same Victorian shirt sizing. The assumption was that the clothing size matched the bust size: small clothing size, small bust size. As we all know, that’s isn’t always the case. So, in the early 1930s cup sizes were born. There are conflicting historical reports about where cup sizes originated. Some say Maidenform while others attribute S.H. Camp and Co. The cup size was determined by figuring out how many inches bigger the bust was than the Victorian shirt size. But this system was not perfect. For example, two inches bigger than a 32 shirt size was a B cup and two inches bigger than a 38 shirt size was also a B cup. This created a lot of different-sized B cups and led to something called sister sizing, which is how bras are currently sized. So, cups that are labeled exactly the same are totally different, and cups that are labeled totally different are exactly the same. Sigh. The other reason for poor bra fit is that the band size continues to be labeled as a Victorian shirt size — even now, in 2019. (Really?) Rather than simply measuring the underbust and using that measurement as the underband size, a system of adding 4 or 5 inches is used to determine the band size — aka, the Victorian shirt size. So, if your underbust measurement is 28” you are supposed to add 4” and be a 32 band size. Unfortunately, that calculation often assigns consumers a band size which is too large. Simply put, the bra sizing system is outdated and illogical. The band should be a simple underbust measurement. (Why on earth are we adding inches just to get back to a Victorian shirt size?!) And all cups that have the same volume (same breast size) should be labeled the same. These updates would virtually eliminate bra sizing confusion and errors based on an old, dusty, confusing system. But because this system has been in place for decades, and would cost millions of dollars to change, manufacturers aren’t brave enough to challenge it. I once asked the CEO of major bra brand why they didn’t do a better job of explaining sister sizing to consumers. He told me, “It’s too complicated for women to understand.” Wow. Let’s get one thing straight: if a sizing system is so illogical that most consumers purchase the wrong product, that’s not a reflection of the consumers’ intellect. Rather, it’s a huge red flag that the sizing system is deeply flawed. How does this connect to the “80% of women are wearing the wrong bra size” stat? When you realize how crazy bra sizing is, it shouldn’t be surprising that most consumers purchase the wrong size. But what does “purchasing the wrong size” mean exactly? 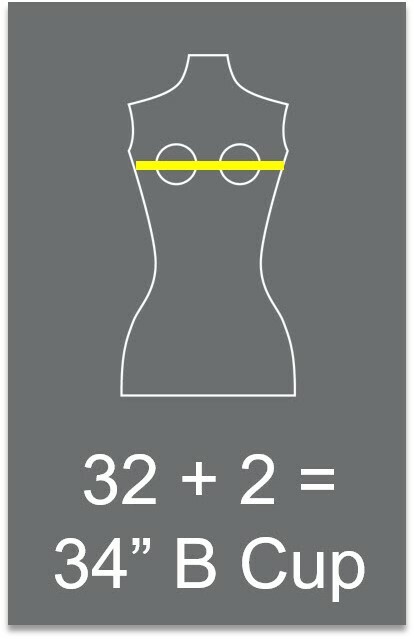 The “80%” stat came from a study conducted by Marks and Spencer (M&S), a British retailer well known for bra fitting. M&S teach their fitters that a consumer only has one bra size. In the UK, bras are mostly fit using a “technical fit” philosophy, meaning the underbands are fit tighter. When M&S bra fitters measured consumers, they found that most consumers didn’t fit the one size they thought the consumer should be (and were thus wearing “the wrong bra size”). So, while this stat is based on a study including factual data, it is also rooted in the belief that there is only one single size that fits a given consumer. The choice to wear a looser or tighter bra should be up to the consumer. As long as the band isn’t riding up in the back and the cups fit, the bra fits. Also consider that different manufacturers have slightly different fits, so you may need a smaller sister size in one brand and a larger sister size in another. You probably don’t assume that every shoe or pair of jeans for sale in your usual size will fit you. Sometimes you need to go up or down a size depending on the style. The same goes for bras. Sometimes you’ll need to choose a different size because the bra was manufactured smaller or bigger than your typical size. For all of these reasons your “correct size” might not be the “right size” for you. Does this mean that most people are wearing the right bra size after all? No, not really. In my experience, about 40% of women aren’t even in the right sister size family. And at least 90% of the consumers I’ve fit are wearing a bra that doesn’t fit them well, even if it is theoretically the “right size.” Bra fit is about so much more than size. Breast shape, shoulder shape, shoulder slope, the underbust (breast root) shape, and the amount of space between the breasts should all be taken into account when finding the right bra. Different bras are designed to fit different breast shapes and shoulder shapes. And underwires are all shaped a little differently. Some underwires fit some breast root shapes better than others. Yet, very few consumers are ever clued in to the fact that choosing a bra is about so much more than choosing the right size. To return to the denim analogy: there are different denim cuts (boot cut, boyfriend, skinny, etc.) and not all cuts look good on all body types. The same goes for bras. Not all bra types were meant for all breast shapes/body types. Why does this matter? Simply put, many bra wearers find bras uncomfortable. An August 2006 study by Harris Interactive conducted for Maidenform and the North American Spine Society found that 59% of women said their bra caused back, shoulder, or neck pain. Bra pain is often caused by wearing the wrong size. Yet even this statistic is not enough of an incentive to motivate manufacturers to simplify bra sizing. Are 80% of bra wearers wearing the wrong size? If you believe that there is only one right bra size, this statistic is generally accurate. In my experience, at least 90% of bra wearers are wearing a bra that doesn’t fit them well, even if it is technically the right size. I’ve met far too many women who simply accept that painful bras are “just the way it is.” They live with chronic pain from their bras and consider them white noise, a nuisance that they must endure. That’s outrageous! I’ve seen women with permanent scars from their bras and permanent indentations in their shoulders from bra straps. And so much of this is preventable. A lot of this pain and discomfort is due to wearing the wrong bra size, and the root of that problem is a sizing system that is outdated and illogical. Bra manufacturers don’t help the situation because they don’t provide consumers with education about bra sizing. I continue to share this statistic because it raises awareness about a broken sizing system. It also encourages consumers to be fit for bras because they realize they might be one of the many who are wearing an ill-fitting bra. If my sharing this stat results in even one less bra-wearer enduring pain and discomfort from their bra, it’s worth it. However, I dream of a future where I would no longer need to highlight this statistic, because bra manufacturers will have finally stepped up by A) educating consumers, B) ceasing to blame consumers for wearing the “wrong size” and taking full responsibility for causing this issue, and C) finally modernizing the sizing system so it makes logical sense. Laura Tempesta is a bra expert, apparel innovator, and a designer of multiple patented inventions. After receiving her BA in Anthropology from Stanford University, she began her career in business strategy. Realizing her true calling was in product creation, she later pursued apparel design and development. During her tenure as Sports Bra Innovation Director at Nike, she helped guide and develop sports bra innovation, and is the only person in North America with a master’s degree in lingerie design (contour fashion). She serves as a consultant to the bra industry, and is the founder of Bravolution®, a consumer advocacy group and resource providing bra reviews and education. Find Your Sports Bra Soulmate. How to pick the one that supports you and doesn't let you down. © Copyright 2019 Laura Tempesta, all rights reserved.